Another night out for tapas and wine – after a visit to the medical clinic for me today. I was washing a wine glass last night (IKEA brand) and it shattered, lacerating my hand. So I got a brief tour of the Spanish health care system. Overall, I give it a B+, as compared to a D+ for the US system. Anyway, we went to a nearby wine bar, La Bodega, at Plaza Alfalfa in Sevilla. 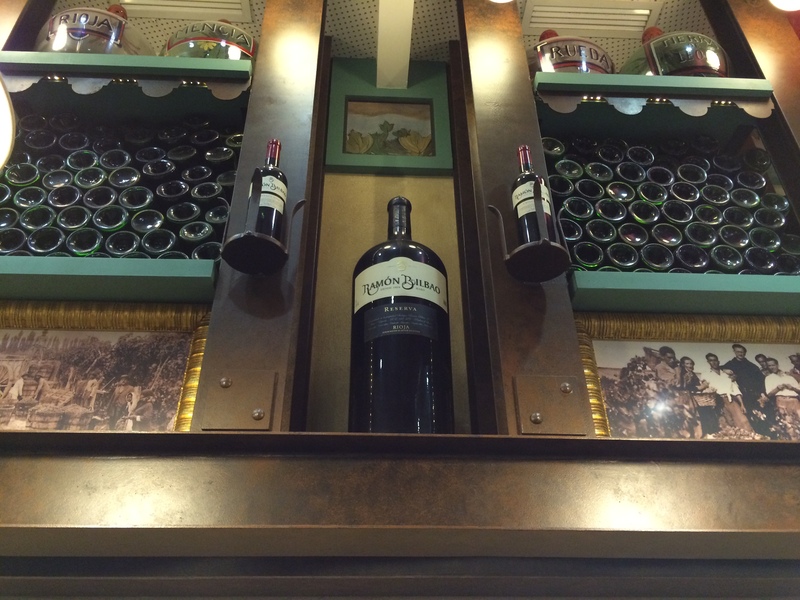 They have a much more wine-oriented approach to tapas and wine than a taberna or a tapas bar. 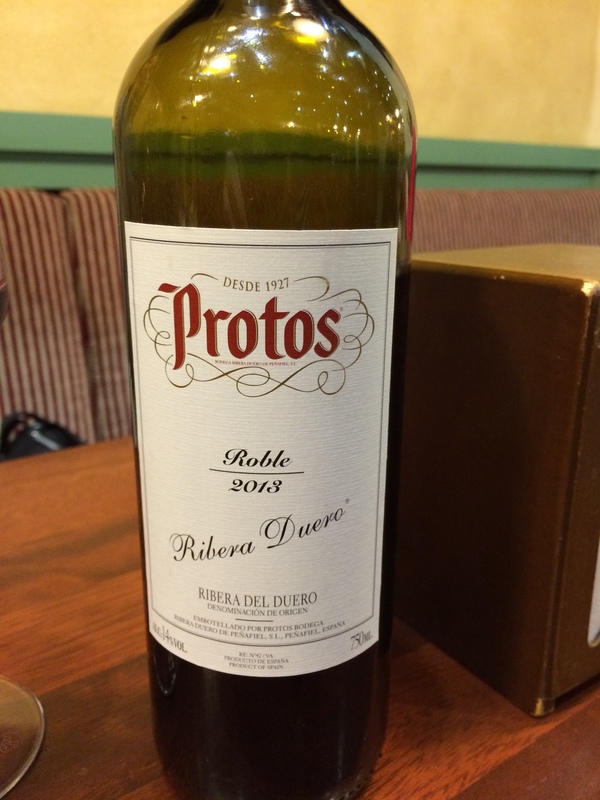 We ordered a Ribero del Duero Tinto – a 2013 Protos Ribero Duero Tempranillo (100%) for 15 euros per bottle. Really. We had the following tapas – tortillitas camarones (mini shrimp cakes), jamon croquettas (ham croquettes), queso (sheep cheese), arroz con verduras (rice with vegetables), plus a basket of bread and crackers, and the bottle of wine for 24.40 euros. Really. The wine was very good – fruit and mineral on the nose, a nice balance of acidity and tannin, with a smooth finish. Another successful outing in Sevilla! This is amazing, inexpensive and fabulous food, wine and health care! How do they have such low prices? Is the cost of living lower? It would almost be cheaper to fly over there, eat, drink and come home!